I'm not the most active user here on Booklikes. In fact, sometimes I forget that it even exists. However, I endeavor to come back and post more stuff that I enjoy. My reviews aren't guaranteed to be something you agree with and my perspective on books isn't something most people generally want. However, I still hope that there's something you can gain from them and you don't feel as if you've wasted your time reading them. Don't just take my word for it; read the books yourself and form your own opinion! 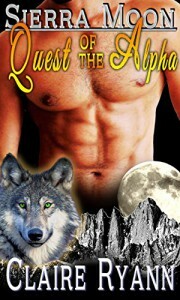 Quest of the Alpha is the first in the Sierra Moon series by Claire Ryann. We begin the book with a pair of brothers, Lane and Diego. They have a problem; they need a breeding pair for their shifter pack of wolves. Tara, a lone hiker, has come camping and is unaware that the new partner, Lane, she's been hiking with is a wolf shifter. They develop strong feelings for each other and soon Lane needs to find the right way to explain to his situation to her. For a female alpha, I think the author has done well with Tara. From her internal narration in the beginning of her portions, Tara has a strong personality. She strives to do what she feels is best for her. She kind of lacks confidence when it comes to her weight, but I feel like the author can develop her well in that area in future, if she gets the right kind of encouragement from Lane or other characters. She's fairly strong willed and I think that she could do well as a female leader of a pack. 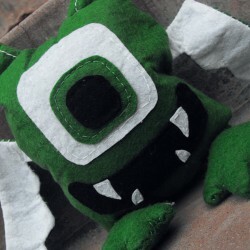 For Lane, I think that his character is reasonably well developed considering the past we've been presented. I wouldn't call him a true alpha (in anything but the eldest of the pack) as we haven't seen enough of his strong personality. However, from the past we've seen, it seems that he didn't come to the position out of strength in the first place. Regardless, I think that he's a fairly interesting character. I appreciate the past with his wife and the potential of his relationship with Tara. I think that the relationship between Lane and Tara is fairly innocent and very sweet. It's obvious that, right from the beginning, they have feelings for and are reasonably attracted to each other. I also think that they feel quite natural together. To me, I certainly don't feel like their relationship is forced. It's very pleasant to have such a warm relationship. As for the other characters, I don't think we've seen enough of them yet, but I think there are some interesting characters to look into for the future of the series. I think that the plot is interesting and their problem- lack of a female alpha- presents a sort of realistic crisis for that sort of situation. In a way, the problem was solved a little bit too easily and gives the title a misleading aspect; there isn't a "quest" for the alpha female as one of the pack just goes for a walk and happens upon her. However, on that point, I appreciate that getting her back to the pack proves to be a bit harder. I also liked that near the end, we got a sort of glimpse into the potential problems for the future of the series, introducing the mountain lion and possibly some rivalry / enemy. I know that not everyone appreciates a cliff hanger, but I think the author has presented it well in this situation. The supernatural aspects with the shifting seemed fairly well integrated to the book and I thought it interesting to present the idea of some of the other women in the pack to be "more wolf than woman" and that they weren't good options as a mate because of such a thing. It certainly gives me curiousity as to the past of some of these other characters Though Lane and Tara are the primary people, I would like to see a bit more about the others and what led them to this pack. Overall, I liked the story. It was fairly well developed, kept me interested and I am certainly looking forward to reading more of the series. I received a free copy of this story in exchange for an honest review.